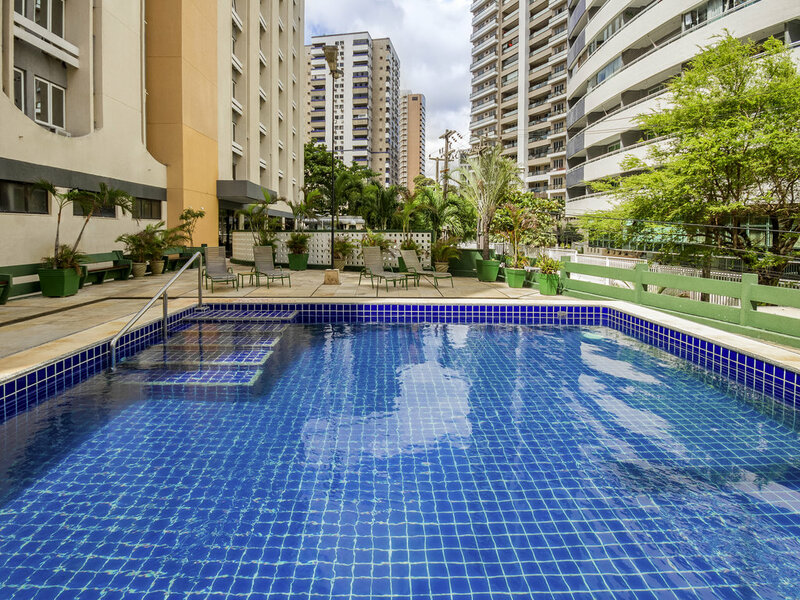 The ibis Fortaleza Praia de Iracema hotel is 219 yards (200 m) from Iracema Beach, 5 miles (8 km) from Futuro Beach, 5 miles (8 km) from the convention center, 7.5 miles (12 km) from Fortaleza International Airport and 20 km from the Beach Park resort. With easy access to Avenida Beira Mar and Avenida Monsenhor Tabosa, the hotel's facilities are ideal for both business trips and vacations. It features 171 rooms with free WIFI, a swimming pool, 24-hour bar and a restaurant for breakfast, lunch and dinner.